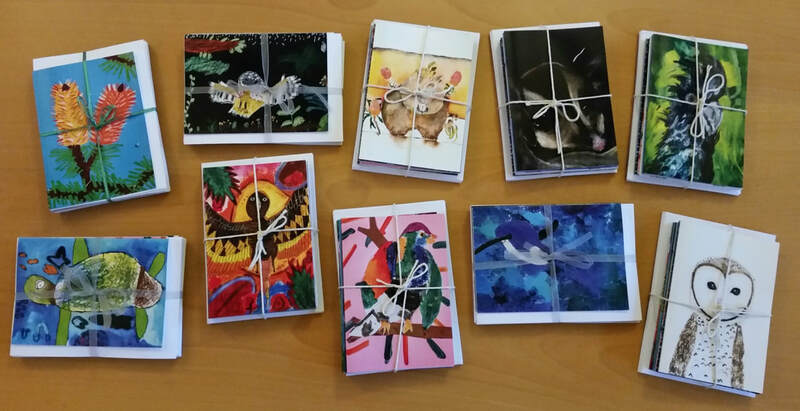 We've had some greeting cards made as a fundraiser for the competition. These gorgeous cards in A6 size are sold in packs of 10 cards with envelopes, blank inside. Each card has a design of a child's artwork from the 2018 competition, with a short quote from the child on the back. ​Although the image on the front will vary, all packs contain exactly the same cards. ​The cost is $15.00 per pack or $25.00 for two packs. ​Postage is extra, depending on how many packs you want to order. For one or two packs it will be $3.00. At present we don't have the facility to accept credit card payments. All payments will be made by direct debit. Please fill in your details below if you would like to purchase cards and we will send an invoice within a few days.